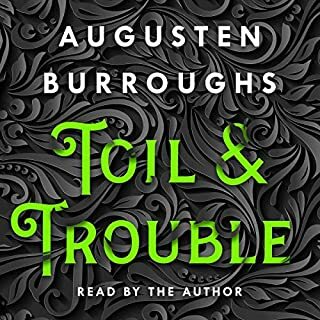 With Augusten's unique and singular observations and his own unabashed way of detailing both the horrific and the humorous, Lust and Wonder is a hilariously frank audiobook memoir that his legions of fans have been waiting for. 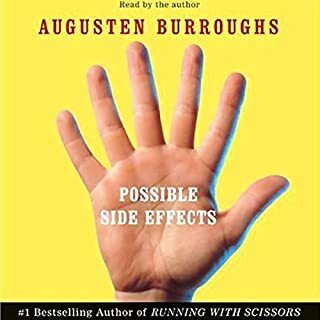 His story began in Running with Scissors, endured through Dry, and continues with this memoir, the capstone to the life of Augusten Burroughs. Running with Scissors is the true story of a boy whose mother (a poet with delusions of being Anne Sexton) gave him away to be raised by her psychiatrist, a dead ringer for Santa and a lunatic in the bargain. A contest of wills with a deranged cleaning lady. The execution of a rodent carried out with military precision and utter horror. Telemarketing revenge. A different kind of "roof work". Dating an undertaker who drives a mini-van. This is the fabric of Augusten Burroughs's life: a collection of true stories that are universal in their appeal yet unabashedly intimate, stories that shine a flashlight into both dark and hilarious places. This audiobook is approved by those seeking pleasure, escape, amusement, enlightenment, or general distraction. It is not approved to treat disorders such as eBay addiction or incessant blind dating. For as long as Augusten Burroughs could remember, he knew things he shouldn't have known. He manifested things that shouldn't have come to pass. And he told exactly no one about this, save one person: his mother. His mother reassured him that it was all perfectly normal, that he was descended from a long line of witches, going back to the days of the early American colonies. And that this family tree was filled with witches. It was a bond that he and his mother shared - until the day she left him in the care of her psychiatrist to be raised in his family. A Wolf at the Table is the story of Augusten's relationship with his father, John Robison, Sr., a man only briefly touched upon in Running With Scissors. Told with shocking honesty and penetrating insight, A Wolf at the Table is more than the companion volume to Running with Scissors - it's a story of stunning psychological cruelty and the redemptive power of hope. Welcome to the troubled world of Sellevision, America's premier retail broadcasting network. When Max Andrews, the much-loved, handsome (but lonely) and gay host of Slumber Party Sundown accidentally exposes himself in front of 60 million kids and their parents during a "Toys for Tots" segment, Sellevision faces its first big scandal. As Max fails to find a new job in TV, another host, the popular and perky Peggy Jean Smythe, is receiving sinister e-mails from a stalker about her appearance. My first audiobook - No regrets. You've eaten too much candy at Christmas...but have you ever eaten the face off a six-foot stuffed Santa? You've seen gingerbread houses...but have you ever made your own gingerbread tenement? You've woken up with a hangover...but have you ever woken up next to Kris Kringle himself? Augusten Burroughs has, and in this caustically funny, nostalgic, poignant, and moving collection he recounts Christmases past and present - as only he could. From the #1 New York Times best-selling author of Running With Scissors comes a groundbreaking book that explores how to survive the "un-survivable" and will challenge your notion of self-help books. To say that Augusten Burroughs has lived an unusual life is an understatement. From having no formal education past third grade and being raised by his mother’s psychiatrist in the seventies to enjoying one of the most successful advertising careers of the eighties to experiencing a spectacular downfall and rehab stint in the nineties to having a number one bestselling writing career in the new millennium, Burroughs has faced humiliation, transformation and everything in between. Told with Burroughs's unique voice, black humor, and in-your-face advice, This is How is Running With Scissors - with recipes. This is my first Burroughs. I've listened to all Sedaris and Klosterman and people have said Burroughs is similar. I expected this to be funnier than it was. It was very dark but it felt so honest and ego free. This book took me on a roller coaster ride of emotions. I went from comfortably thinking "oh, I feel bad for people like that" to "ouch, he just described me perfectly." Burroughs turns on a spot-light and never relents. I liked it so much, the minute I finished it I started it over and listened to it all over again. Hat's off to Augusten Burroughs for treating these subjects with a good dose of reality. I hate the tippy toe way so many of these very LIFE ALTERING events are usually treated in self-help books. I have experience a few myself and I agree with Mr. Burroughs about how you get through and go on. Too many of us wallow away our lives in whatever misery trips us up and can't get a grip on coping and continuing. I plan to listen to this book again and again - just to feel that good ol' kick in the pants to keep me motivated. It is on my iPod and not coming off! Thank you Augusten! For me, This is How is the perfect book at the perfect time. I personally hate platitudes, dishonest positive thinking, and trite prosaicism. Augusten Burroughs writes brilliantly for the person that is hungry for honesty. Sometimes things really are awful, and Burroughs offers logical and reasonable cogitations for these times in our lives. What a wonderfully candid, thought-provoking, and truly interesting book. I was already a Burroughs fan when I happened upon this thoroughly enjoyable read. I strongly recommend it for anyone seeking straight talk, delivered with just the right dose of self-effacing humor. A Bold, Fresh Perspective In "Self-Help"
If you could sum up This Is How in three words, what would they be? Little. Yellow. Different. Just kidding. Groundbreaking, hilarious, moving. It is a new take on the rather tired, be peppy all the time, say affirmations and forcing yourself to be happy...none of that works. 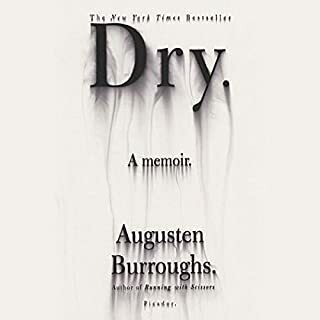 Have you listened to any of Augusten Burroughs’s other performances before? How does this one compare? I've listened to Burroughs' work before - all of them in fact - and was starting to feel that his most recent work was becoming well-tread familiar territory. This one shatters it. He is most definitely back! I've always enjoyed his reading performances. Actually, I was moved by every chapter because he completely discusses what he believes the heart of the matter in any personal issues. It's sound advice when you've given up all of the empty self-help hype, forced happiness and seminars. If you've never read his work before, listen to this then "Running With Scissors" to get the background on how and why his advice hits home - he has a wealth of experience from his life and freely admits it. I actually wish that he'd have another book covering even more difficult topics. 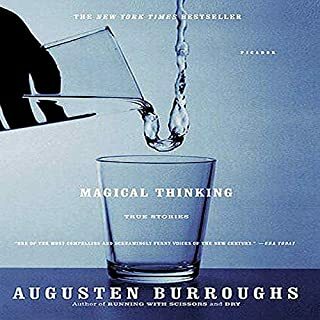 That's how much I enjoyed it.I laughed out loud on many, many occasions because Burroughs cuts right to the core immediately by systematically going against virtually every principle that is recommended in a typical self-help book...and why many of us never finish them. Hilarious, offbeat and painfully honest - I absolutely loved it! 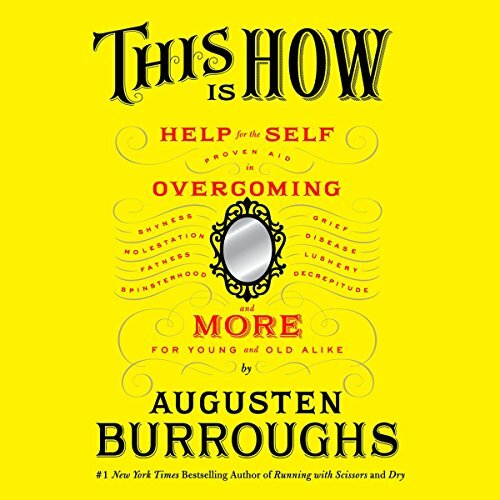 Would you consider the audio edition of This Is How to be better than the print version? The audio version is so much more compelling and inspirational than the print version. A night and day difference. Burroughs offers insights to problems from real life experiences that so many people experience everyday. He presents ideas in a fresh manner that are instantly usable. I really admire his courage to reveal so much without the stain of self pity. What about Augusten Burroughs’s performance did you like? Burroughs is unflinching and direct when he addresses problems. Nothing is sugar coated. Yes; maybe to a person who feels unlucky in love or who has recently lost a close relative. Bear in mind, this is not exactly a self-help book. It's an essay, it's actual literature, written to resemble a self-help book. Some passages are laugh-out-loud funny, some are inspirational. Some parts are very touching and actually made me cry. What other book might you compare This Is How to and why? Dry, by the same author. I have read his other books (I especially love Sellevision) but had never heard his voice before. If you're not aware of the context, you might believe something terrible happened, when it really wasn't that bad. Would you listen to This Is How again? Why? I know I will listen to this book again and again. It rather smacks you in the face with reality and then a gentle humor allows you to step back and re-think you, your life, and the world around you. Burroughs is blunt and does not pull any punches. Yet this forthright attitude is somehow both reassuring and encouraging. No. I needed to listen to a chapter and then think about it and apply it to my situation. Sometimes I even repeated a chapter as soon as I finished it while ideas were fresh in my head. This is a book absolutely everyone would benefit from reading/listening to!! It truly is remarkable how we do not see what is in front of us until someone makes you look again! 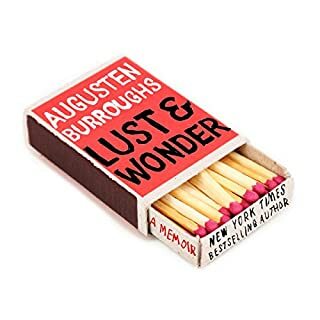 Would you try another book from Augusten Burroughs and/or Augusten Burroughs? Would you be willing to try another book from Augusten Burroughs? Why or why not? 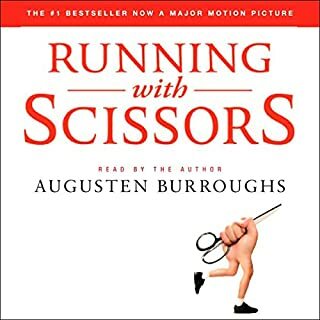 I am a big Augusten Burroughs fan — I loved Dry, and Running with Scissors. I thought that this book would be like his others, but not so. The author reading his own work — he sounds incredibly sarcastic. Not the way he sounds in my head when I read him. Was This Is How worth the listening time? I did not get through the second chapter. Oh well. I love Augsten Borroughs, but this book just did not capture my attention like an audio book needs to. Don't judge this book by it's cover. It's not a witty, hip, comment on self help. It's a fairly plodding, uninspired attempt to be helpful. I think it's a shame Augusten Burroghs didn't take the time to address the serious issues in the book with his demonstrated skill. The lackluster prose and preachy "we're talking about you, not me" content was a terrible departure from his usual work. Imagine Miley Cyrus singing Wagner. A perplexing, painful experience. I love you, Augusten. "Dry"'s one of my favorite books. But you need a new editor, agent, publisher or just someone who will hold you to your talent and not just cash in on your past. Be great.